Knead for approx. 5 minutes. I use a machine. Let the dough rise while you are at work. Approximately 8 hours. Divide into 4 equal parts. Form them into balls. Let them rise for 2 hours more. Read about shaping and baking here. 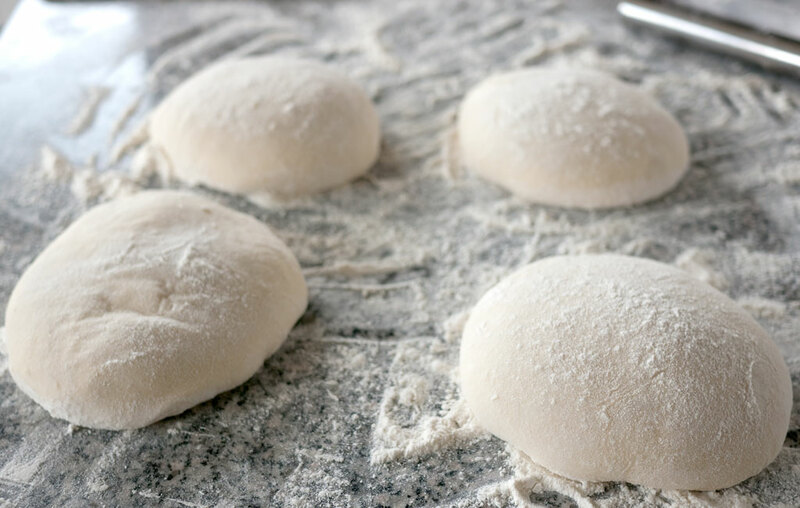 The best dough that can be made the same day you want to eat pizza. You just have time to put it over in the morning before going to work, to school, etc. Divide it into 4 equal parts. Shape them into balls. Let them rise for 1 more hour. A good crust with lots of flavor and elasticity. Knead for approx. 10 minutes. I use a machine. Divide into 4 equal parts. Shape them into balls. Let them rise for ½ hour more. Read about shaping and baking here . Provides an ok base, that most would think is perfectly acceptable. Dissolve the yeast in 1½ dl (½ cup) water. Bring the last 3 dl (1½ cup) of water to a boil. Put the warm water into a kneading bowl / the mixer. Mix in the remaining ingredients. Add the water with the yeast in the end. Let the dough rise ½ hour. Divide into 4 equal portions. Shape them into balls. In this recipe I have used everything I know about making a good dough, as fast as possible, with as little yeast as possible. Are you a mega (bread) geek, you can read more here. The dough will be ok, and it is definitely still better than a frozen pizza. 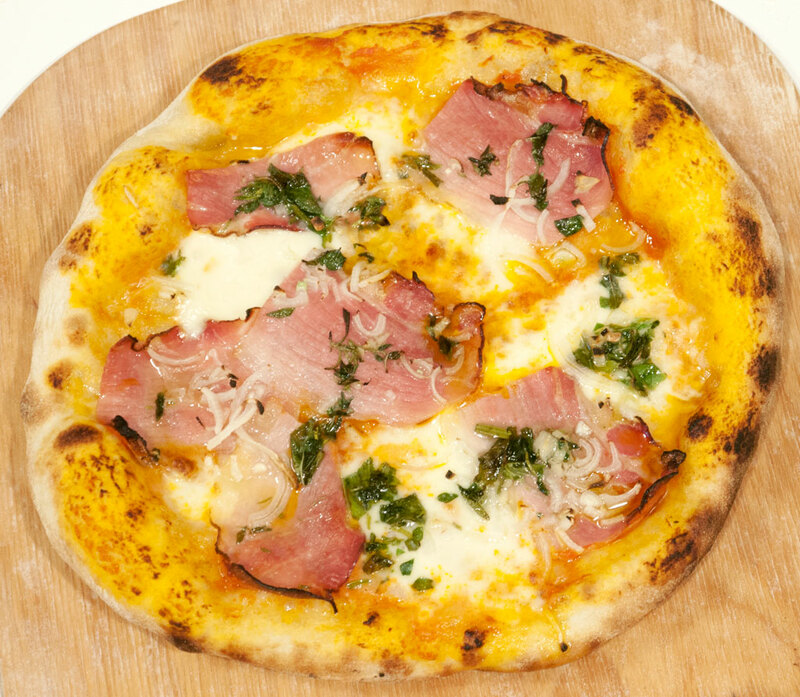 But it does not develop as much flavor during raising as a long-leavened dough. It must be kneaded for a long time because the yeast do not get the chance to pull the good stuff out of the flour. So it must be done mechanically. The bowl I use for shaping is from Ikea. It is 27.5 cm in diameter. It has the number "209 22" and the name shown in the bottom "Blanda Blank"